A Chevy chassis carries this Forester 2291S class C motorhome and features a single slide out with a U-shaped dinette. Keep your passengers safe while you travel with the seatbelts in the dinette and if you need an extra sleeping space at night, just fold it down. 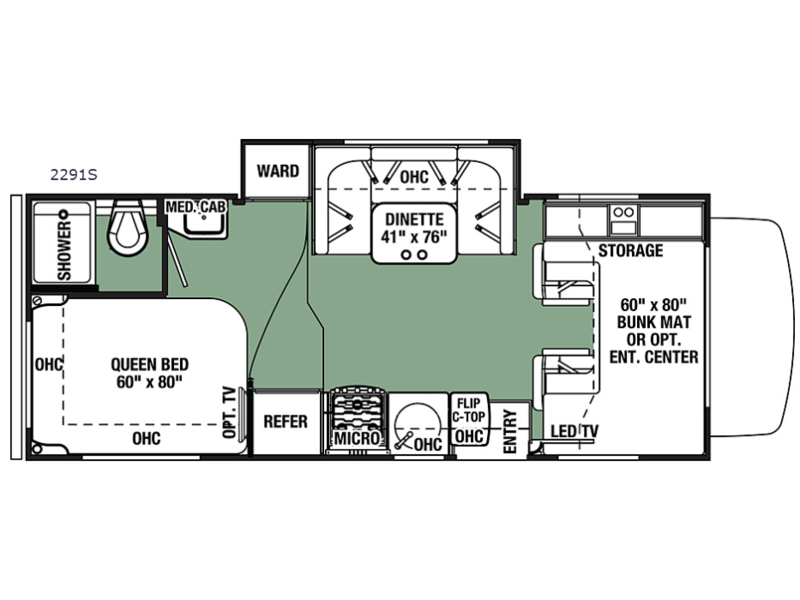 You can sleep up to five or six individuals in this unit. 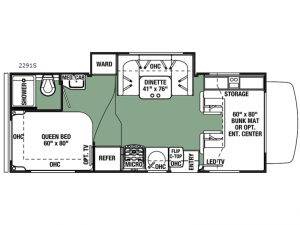 The rear bedroom has a place where you can add an optional TV if you choose to do so. The bathroom has a sink on the outside so you can use the sink while someone is in the bathroom and your kids will love the bunk above the cab for sure! Basement Storage 61 cu. ft.